Another short op-ed for the South China Morning Post (with Alex Petersen, co-editor of this other site), this time looking at Sino-Turkish relations in the wake of Erdogan’s recent visit, focusing particularly on how Central Asia figures between them. One of the most interesting things about this whole visit was Erdogan’s stop in Xinjiang which was quite a turn-around from his comments back during the riots of 2009. More on this subject coming soon. Unfortunately, this is again behind a firewall, but I have asked editors for permission to republish and will update duly. (UPDATE, have added full text after SCMP approval). Where they did meet on the international stage, there was often tension. This was bound up with Erdogan’s tendency to favour the Uygur side of China’s ethnic quagmire in Xinjiang. But times change. Earlier this year, Chinese leader-in-waiting Xi Jinping stopped off in Turkey, and now Erdogan has become the first Turkish head of state to visit China in 27 years. Behind this is a recognition that trade between the two nations is picking up, and, increasingly, their global interests align. Both are uncharacteristically active in diplomacy in the current Iranian and Syrian stand-offs. But more interesting is China’s eagerness to encourage Turkish investment in Xinjiang – very surprising given Erdogan’s previous statements. A main rationale behind this shift is recognition of the complementary roles the two powers play in Central Asia. Economic development, and the political stability it produces, is one of China’s main goals in the region. This is seen as essential to ensuring future tranquility in Xinjiang. Turkey contributes to that, with aid and educational programmes to Central Asia. Chinese state-owned enterprises are busy constructing the components of a so-called Eurasian Land Bridge across the region, an East-West network of road, rail and other trade infrastructure. Turkish trucking, construction companies and traders in the region will be some of the first to reap its benefits. Perhaps at some point, Chinese and Turkish interests will end up awkwardly rubbing up against each other, but, for the moment, the two fastest growing economies in Eurasia are reprising their historical roles as the two ends of the fabled Silk Road. A slightly delayed piece for CNN on a topic I have covered repeatedly, the subject of Lone Wolves and specifically the case of Mohammed Merah in France. It has also been a quiet period of late as I am travelling in a rather far-flung place, but more on that later. 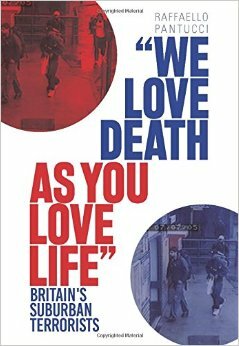 Editor’s note: Raffaello Pantucci is an associate fellow at the International Center for the Study of Radicalization (ICSR) and the author of the forthcoming “We Love Death As You Love Life: Britain’s Suburban Mujahedeen” (Hurst/Columbia University Press). Mohammed Merah’s death has done little to clarify what motivated him to carry out his terrorist act. The assassination of a series of North African French soldiers, followed by the cold-blooded shooting of Jewish children as they went to school, all show evidence of a mind twisted by hate that was motivated by Islamist ideas: The soldiers had the audacity to be members of an army fighting against Islam while the children had the misfortune of being born into the wrong religious family. But what is most disquieting about this is that it is unclear that anyone told him to carry out his specific act. While it now seems clear that he was living within a radical milieu and had tried to go and fight jihad abroad, he seems to have chosen to carry out his act by himself. This is the action of a terrorist operating by himself, a lone wolf; one who has so firmly imbued his ideology that he no longer feels the need to receive orders to act upon, but is able to self-activate. Screaming about being linked to al Qaeda as he battled police, Merah clearly thought of himself as a mujahedeen for their cause. What we do know of Merah so far is that he was in the Afghanistan-Pakistan region twice. Which group he sought out specifically is unclear. Tehrik-e-Taliban Pakistan claimed to have trained numerous Frenchmen, while Jund-al-Khalifah, a primarily Kazakh terror group, made a somewhat dubious claim of responsibility. He had possibly also fought in Iraq – at least one family member was involved in running a network sending fighters to the country. Back in France, he appears to have visited other radicals in prison and existed on the fringes of French radical group Forsane Alizza. But it is not clear that any of these organizations actively directed him into action. This is not the first time that we have seen individuals of this sort on the European jihadist scene. Back in the early morning of January 1, 2010, Mohamed Geele came crashing through the front door of cartoonist Kurt Westergaard’s house in Aarhus, Denmark. He had shaved and perfumed himself in the manner of a fighter expecting to die in the course of his action and used Google Earth to find the cartoonist’s home. Westergaard was able to hide before Geele got to him, and Danish police swiftly arrived and apprehended him after a brief shootout. He was later identified as being a key member of a Scandinavian support network that was helping send money and fighters to Somali Islamist group Al-Shabaab (“the youth”) and was spotted alongside another Somali-Dane who blew himself up in Mogadishu. A few months before carrying out his attack, Geele had been repatriated after he was apprehended by Kenyan police on suspicion of being part of a plot to attack visiting U.S. Secretary of State Hilary Clinton. But while Geele was clearly connected to the group, there is no particular evidence that it told him to act. When subsequently asked about the attack, Al-Shabaab spokesman Sheikh Ali Mahmud Raage said, “We appreciate the incident in which a Muslim Somali boy attacked the devil who abused our prophet” before going on to seemingly admit they knew of Geele, saying, “there could be some people who might say that boy was related to Shabaab.” From information released during his trial, it seemed as though Geele was a radicalized young man who, once back in Denmark, fell back into his old ideologies and decided that it was his duty to punish the cartoonist. 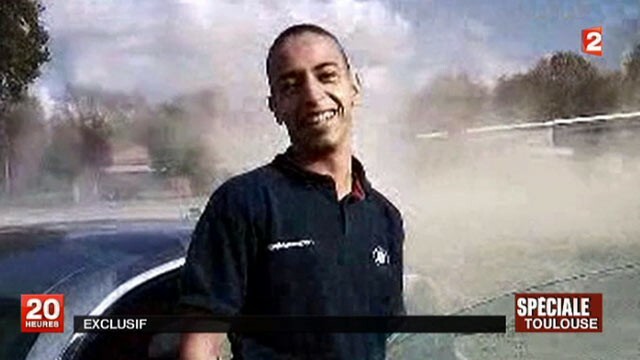 While the whole story about Merah has not yet been told, there is a pattern like Geele’s that is possible to identify: Young men enraptured by the lure of jihad become involved in international terrorism, and then find themselves adrift and decide to act by themselves, following the outlines of what they considered to be a correct targeting package. Like Geele, Merah seems to have been known within a community of radicals and was a known entity to local intelligence agencies. Unlike Geele (who in court claimed it would be easy for him to get a gun), Merah seems to have been able to accumulate quite an arsenal. And also unlike his Danish predecessor, he was able to carry out grim killings before he was caught. He was also planning on broadcasting his act posthumously, having created a video that he had sent to news organizations – though it is unclear whether Merah or someone else sent it. Merah is also clearly quite distinct from some others who have been called lone wolf Islamist terrorists recently. He is different from British student Roshonara Choudhry, who tried to stab an member of Parliament for his support of the Iraq War. He is also different from Arid Uka, the 21-year-old Kosovar living in Germany who shot two American servicemen as they waited at Frankfurt Airport in revenge for what he believed American soldiers were doing in Afghanistan. In both of those cases, the individuals involved were not particularly connected to any radical group (except through the Internet), but chose to carry out their acts of political violence by themselves, aiming at targets they thought would be justified. Merah is clearly a more dangerous proposition; not only since he was more successful, but also because to some degree he seems to have been able to operate using effective operational security. Clearly, French intelligence will have some explaining to do about how someone it was attentive to was able to accumulate such an arsenal, and also about how he was able to stay on the loose. Whether this is the product of a more trained or a more dedicated mind is unclear, but what it does show is that intelligence services need to be more attentive to people who they may have considered peripheral figures on terrorist networks. Previously, they would have been able to focus on the core, and leave the more fragmentary elements of the network on a looser leash. But with the growing instance of individuals like Merah and Geele, and their increasing lethality, it will have to be reconsidered which individuals are of concern. The question becomes how such individuals can be effectively focused on and how intelligence services can distinguish them from the large community of individuals that exist on the periphery of known terrorist networks but who never move into action. While much has been made of the French tendency toward human rather than electronic intelligence as a potential reason why Merah was able to seemingly accumulate his armory and was able to stay below the radar for so long, it is unclear that greater electronic information would have necessarily uncovered him. Within the United States, where electronic intelligence is the foundation of counter-terrorism work, individuals have managed to proceed quite far staying beneath the eyes of electronic watchers. Whatever the case, the key lesson is that it is increasingly becoming the norm that individuals less central to terrorist networks are going to move to the heart of terrorist operations. Figuring out how to distinguish them from the noise surrounding them is going to be a challenge for the next few years.